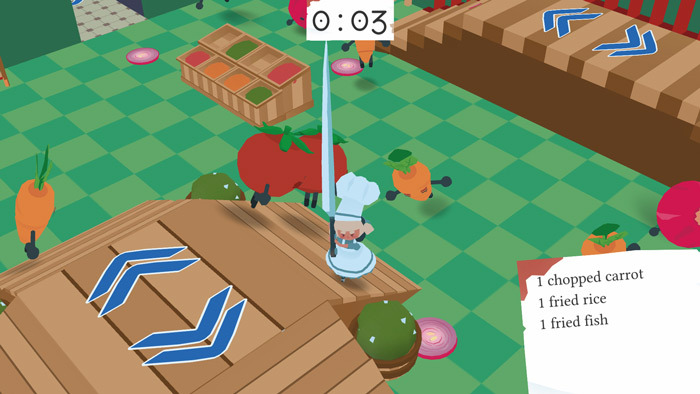 "A great looking and fun game where you must"
Snack & Slash is a strange yet very fun game where you play as a cook in the kitchen however this is really farm to fork as you have to slash, whisk or scoop the ingredients including the vegetables which are alive and try to run away from you. 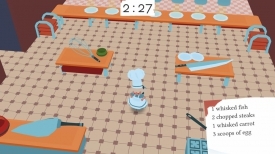 At the start of each round of the game you are given a list of ingredients to make your recipe and a time limit to maim and attack all the ingredients before putting them together, the time limit varies on the amount of ingredients needed and the time of the activities needed to do to get them together. 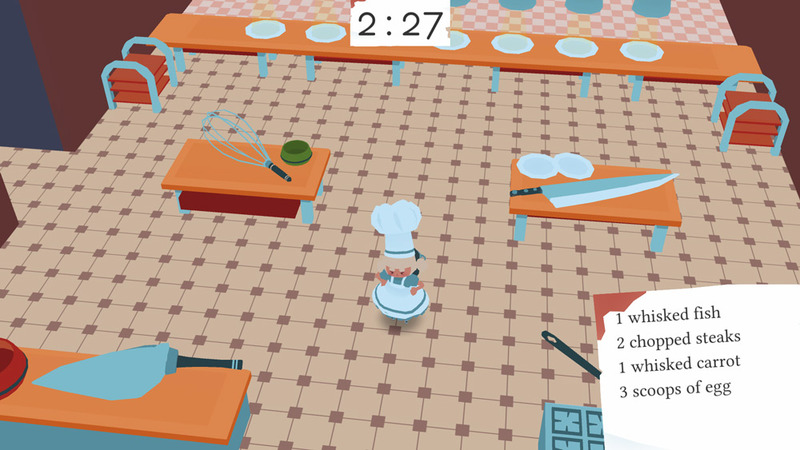 Snack & Slash looks really good and it’s immensely fun chasing the vegetables and chopping or whisking them before putting them in to your recipe although the time limits do not allow much room for error so you must be quick and try not to get too distracted by just attacking any food substance you can find! 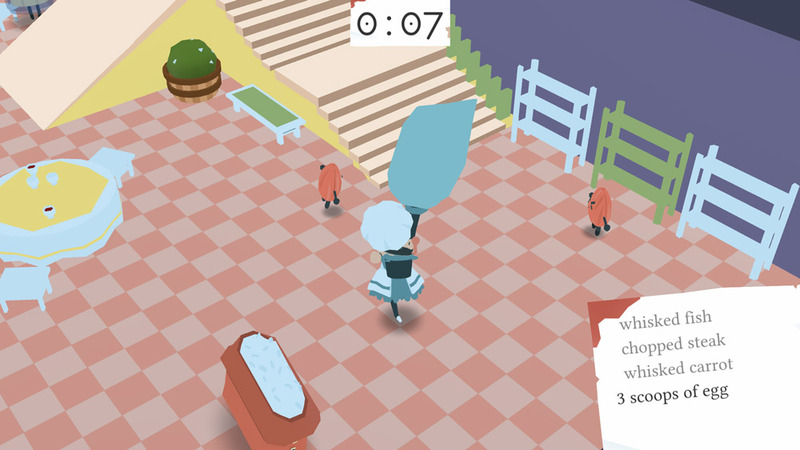 A really fun game that is bright colorful and silly enough to keep the player involved for a good while. You can download Snack & Slash here for free.